Today’s project wasn’t too bad since I usually tidy up the bathrooms about twice a week. There is always toothpaste splatter on the mirror no matter how often I clean it, it seems. 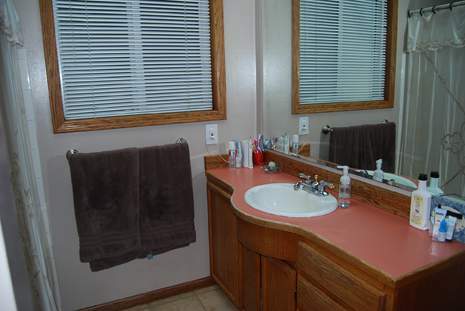 I also did my usual cleaning of the tub, counter, sink and floor. Just a little bit messy don’t you think? 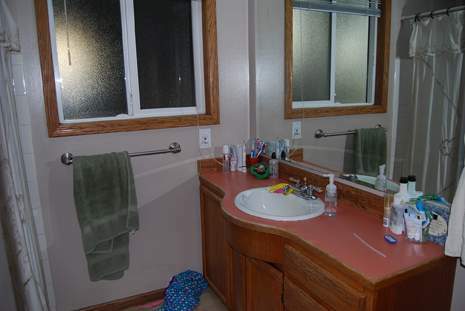 I don’t know how cars and glow sticks end up on the counter in the bathroom but they were all return to their homes. Then I tried something different for cleaning the toilet. 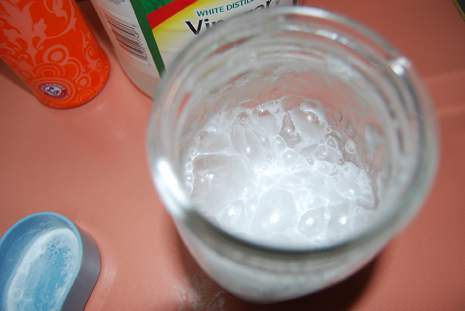 I read about a Toilet Bowl Cleaner at Pinterest and just had to try it out. I thought the kids would enjoy helping with a bubbling brew. So this is how we proceeded. First we added 1/2 cup of vinegar to a mason jar. 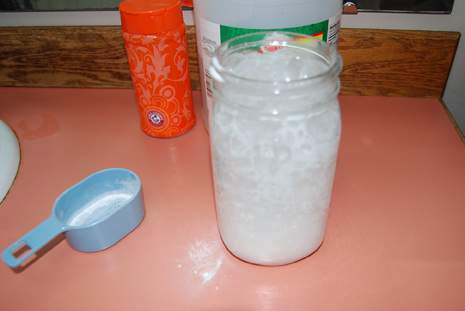 Then we added in a 1/2 cup baking soda and let it fizz a minute. Next we added about 5 drops of Tea Tree Oil. Then we added it to the toilet gave a little swish with the toilet brush and then let it sit a few minutes. When I came back I scrubbed a little more with the toilet brush and the toilet was nice and clean. Now that looks really nice, neat and clean. I have to say the toilet bowl cleaner with the tea tree oil leaves a nice scent in the bathroom. We may be using this cleaner more often as it worked well and makes the bathroom smell great. So did you win the struggle against splatter and soap scum in your bathroom today? 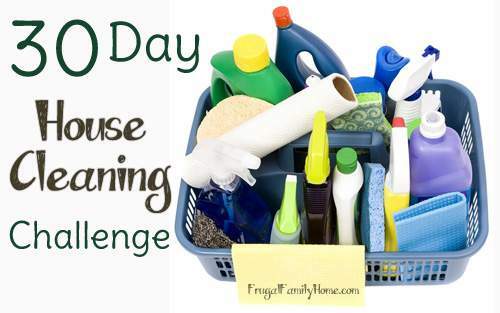 Want to see more posts about the 30 Day House Cleaning Challenge? Go over to Money Saving Mom where I linked up today. Awesome job, looks very tidy!